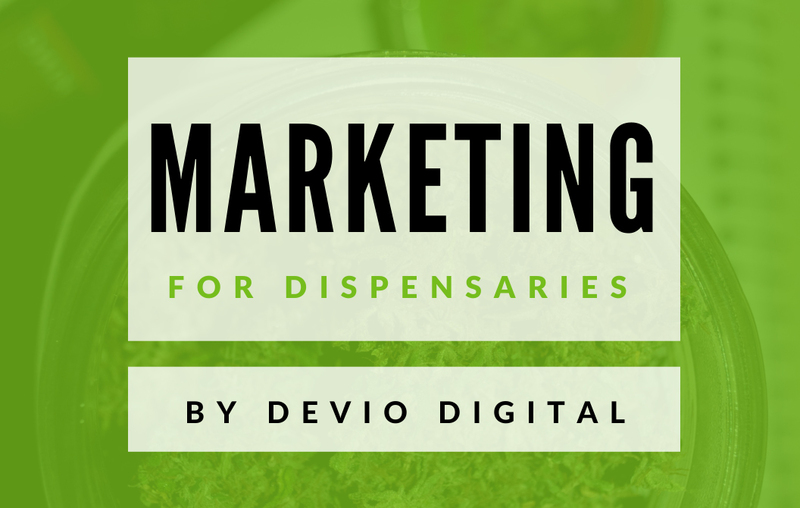 On the eve of 4/20, we are happy to announce that our new add-on, Dispensary Coupons, is live and available for free download. What does this mean for you, the dispensary owner and dispensary website operator? 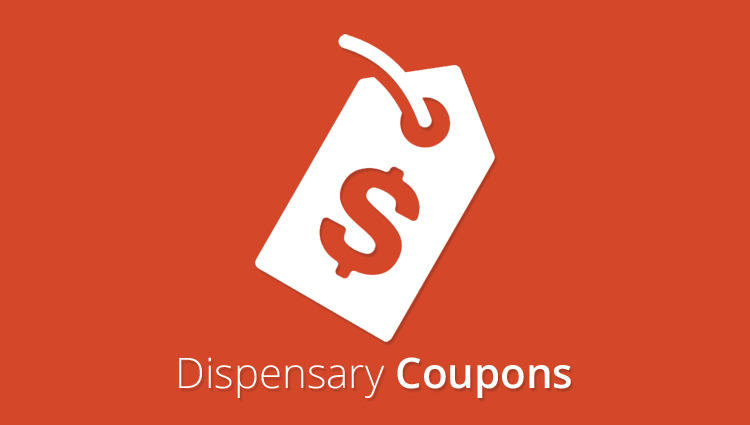 With the Dispensary Coupons WordPress plugin you will be able to easily add coupons to your website and show them off with a simple shortcode or widget. 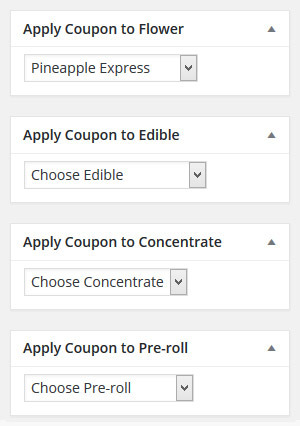 This add-on was built to extend the WP Dispensary plugin, so when adding new coupons to your site, you’ll be able to select which items in your dispensary menu the coupon is good for. Below you will find screenshots that show off the widget options and display, as well as the boxes added to the WP Dispensary menu item editor. When you are adding a new coupon, you’ll be presented with a few boxes that let you select the item from your menu that you’d like the coupon to apply to. Currently you are able to select one item from each menu type (Flower, Edible, Concentrate and Pre-Roll) but we are already working on allowing multiple item selection from each menu type. We also have planned for some other improvements and additional integration with WP Dispensary, which will be released in an upcoming version. As you can see in the screenshot, you’re able to add dispensary coupons with a variety of output options; the amount of coupons that the widget will display, if you want the title of the coupon to show or not, as well as the coupon description, the WPD menu item that the coupon applies to. 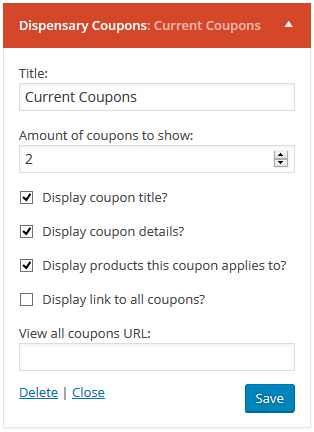 You also have the ability to add a link to view all coupons, which you can use to link to a page on your website that uses the shortcode output to show off all of your coupons. The output of each coupon is wrapped in a dashed border, and will show – or hide – info based on your selection within the widget editor (above). Each coupon title also links directly to the coupon’s individual page, which you or your theme developer can customize the output of. I’ll touch more on this in the upcoming weeks. 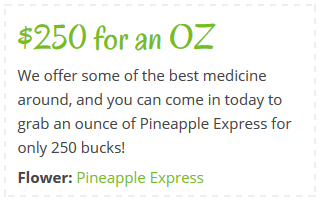 You can download the Dispensary Coupons WordPress plugin via the official WordPress plugin repository. You can also download it directly from your WordPress dashboard by going to Plugins - Add New and searching for Dispensary Coupons. We’re always looking to improve what we offer, and your input is greatly appreciated, and needed to make sure that what we build works well and serves the right purposes for you, the end-user. If you use this plugin, we would love to hear your thoughts on it and what you think could make it better. Leave a comment below, or feel free to submit your thoughts through our support form. How can coupons and wp dispensary be used with woocommerce? Currently, WP Dispensary and Dispensary Coupons act independently from WooCommerce. I am looking into seeing how they can be integrated into WooCommerce but cannot say if or when it will happen currently.